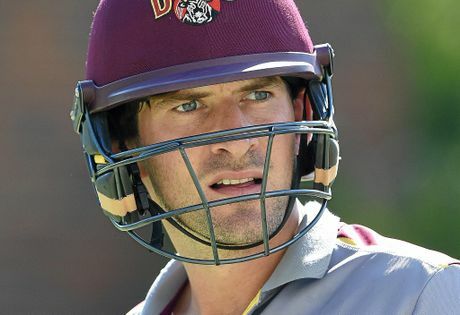 JOE Burns looks set for a return to the Australian Test team with he and Callum Ferguson added to the squad for the second Test in Hobart, starting Saturday. Injury-prone batsman Shaun Marsh will miss the clash, which Australia must win to avoid a series defeat to the visiting Proteas, with a broken finger. Queenslander Burns has 12 Tests to his name and scored 872 runs at an average of 41.52 with three hundreds and four 50s. He was dropped during Australia's 3-0 Test series loss in Sri Lanka and replaced by Marsh at the top of the order. He has since scored one century in his first two Sheffield Shield games this season for the Bulls. Ferguson, 31, is yet to make his Test debut, and while he has played 30 one-day internationals and three T20Is, he has not represented Australia since April 2011. Highlighting his inconsistency over the past decade, the 31-year-old has endured a mixed start to the Sheffield Shield this season, scoring a ton and a duck in two games for South Australia. Marsh, who made 63 and 15 in Perth, will have to undergo surgery on the finger he had fractured during the tour to Sri Lanka, and which forced him out of Australia's recent limited-overs tour of South Africa. He had also suffered hamstring trouble before the Test series, and had to prove his fitness before being picked for the series opener. Australia is 1-0 down in the series, having lost at the WACA by 177 runs after a poor display with the bat, particularly the middle-order.